How is FEDS PLI policy for federal employees different from other providers? Legal Representation for Civil Matters is Not Capped by Sublimits. Unlike some carriers, the full $1,000,000 or $2,000,000 liability limits for civil protection are separate and distinct and not subject to the defense limits of the administrative and criminal provisions. Superior Legal Defense. This is one of the most important differences between the FEDS program and others. The quality of legal representation and counsel that you can expect as a FEDS member is one of the main reasons the leading federal employee associations endorse us. 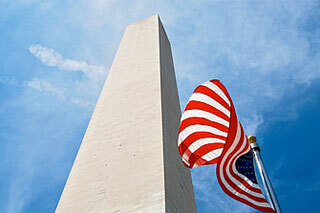 Our panels of law firms have vast and specific experience in representing federal employees. Shaw, Bransford & Roth leads our panel, providing representation on a wide range of employment law and federal personnel issues. For civil and criminal matters, as well as conflicts and other case specific circumstances, FEDS calls upon Schertler and Onorato, LLP, MoloLamken LLP, Kaiser, Legrand & Dillon PLLC, and others whose experience and expertise is necessary to handle these matters. Coverage is included for managers facing harassment, discrimination, retaliation & wrongful termination allegations. Unlike similar policies, the FEDS policy does not charge additional premium or require you to purchase additional endorsements for Employment Practices Liability claims in order to defend you in the event you are accused of these allegations. Coverage is included for employees serving outside of CONUS or in other international posts of duties. At no additional cost. Coverage Counsel. Unlike some carriers, FEDS will appoint, in certain cases, coverage counsel prior to DOJ’s determination of scope and interest. Having your own attorney advocating on your behalf is very important during this decision process. Unlike other federal employee professional liability policies, the FEDS PLI policy provides coverage for OIG and/or DSS investigations, as well as disciplinary actions that are held in abeyance pending an FSGB appeal or other final action. The FEDS policy provides legal representation at these levels because representation is imperative in the early investigative stages. No Delay of Reporting Denial. Unlike some carriers, FEDS will not decline your claim if you choose to get advice or counseling from FLEOA or other association legal counsel and then need to invoke your policy benefits. FEDS offers a payroll deduction payment option in addition to standard payment methods. Additional Consultations. For precomplaint or other matters falling outside the scope of the policy’s liability protections, all FEDS members are entitled to two half hour consultations with an attorney – at no additional cost. Attempts by other companies to mirror this valuable service are simply not comparable and will cost you more money. Pro Rata Refund Available. FEDS gives pro rata refunds for members who retire or otherwise leave federal service. Other providers do not give comparable refunds. No Deductibles, Admin or Other Fees. Other than a necessary fee associated with payroll deduction, there are no administrative or credit card payment fees associated with the FEDS insurance policy. Commitment and Know-How. FEDS President and Founder is a former federal law enforcement agency attorney who has continually demonstrated his understanding of and commitment to the entire federal law enforcement community.